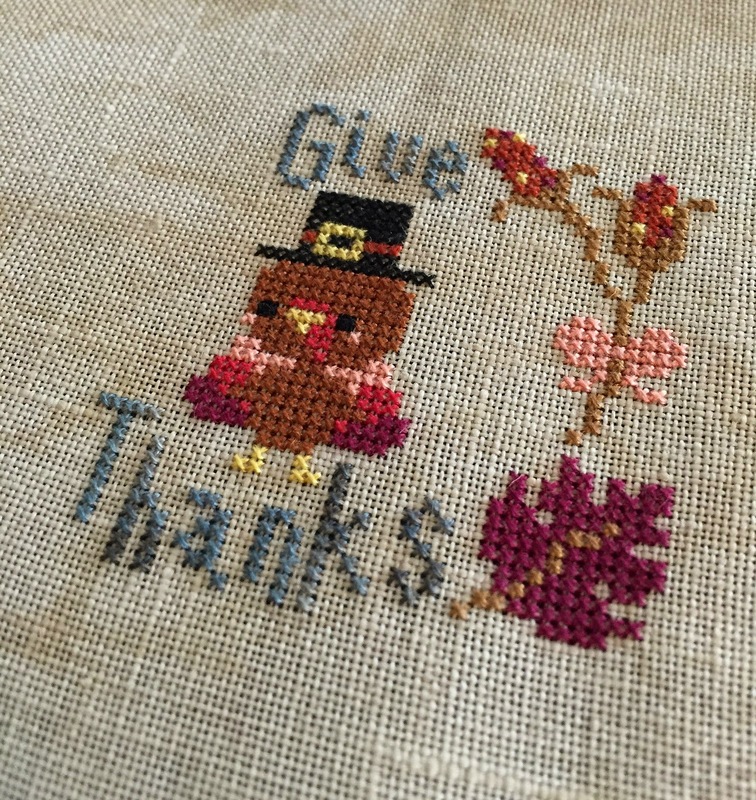 I can't believe how much I love stitching on 40-ct linen. Look at how tiny that turkey is! How cute is he, seriously?!? 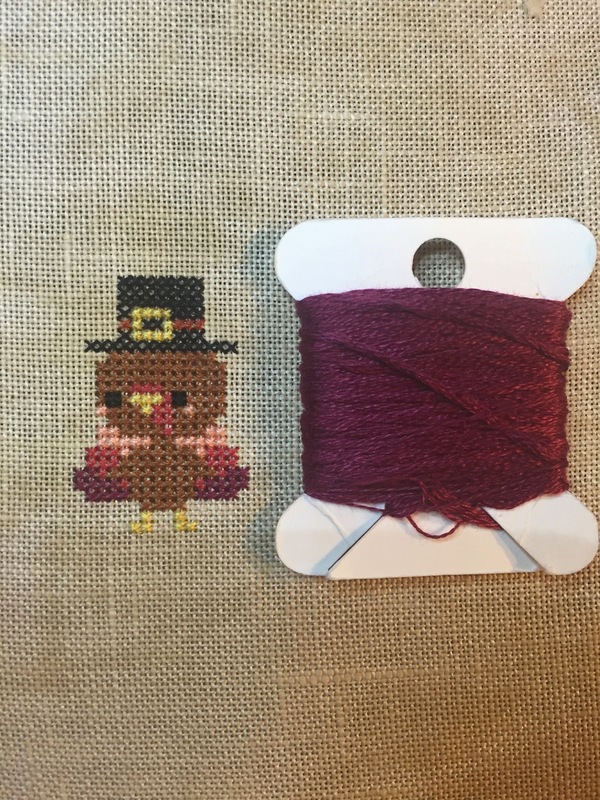 If you follow me on Instagram (stitchystitcherson), then you've perhaps seen this teeny tiny turkey's progression. 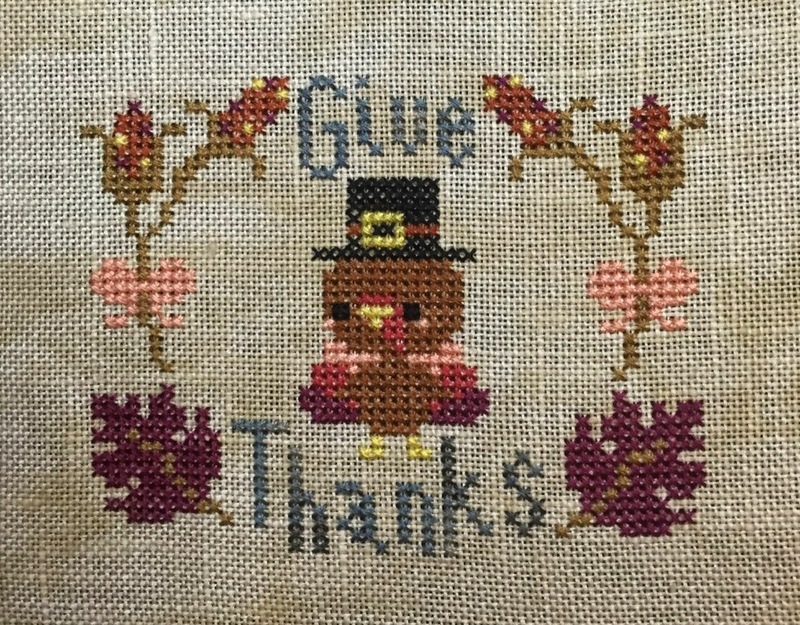 I loved stitching him. 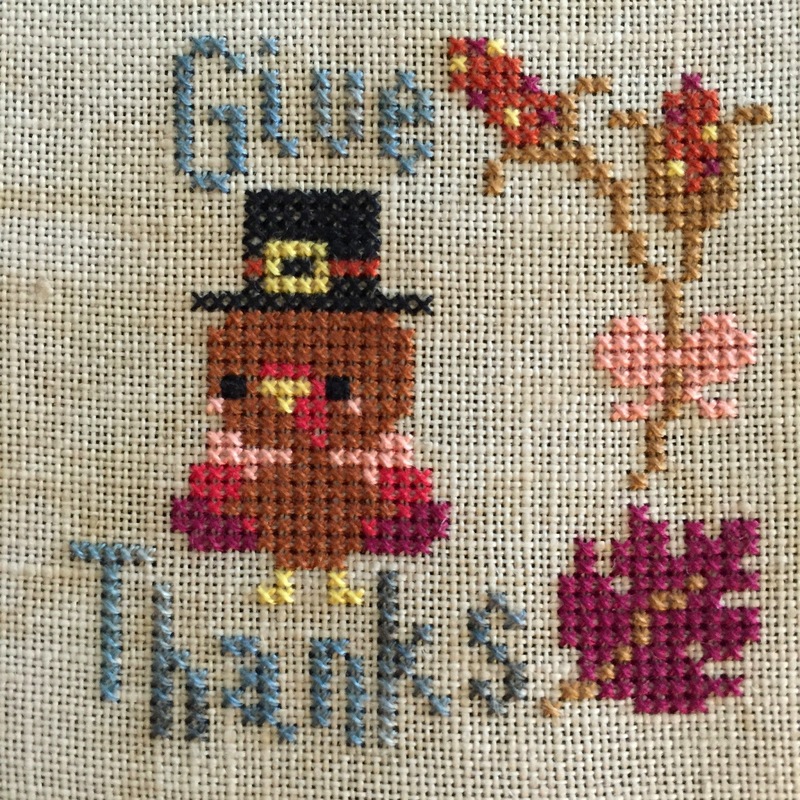 He was a quick, fun stitch, and is a great addition to my woefully small collection of Thanksgiving finishes.